(Reuters) - Alphabet Inc's Google said on Thursday it would change the way it handles sexual harassment claims, a week after 20,000 of its workers around the world walked off their jobs to protest its response to such issues. Arbitration will become optional for individual sexual harassment and sexual assault claims, Google said, enabling lawsuits on those matters. It also said employees who fail to complete mandatory sexual harassment training will be docked in performance reviews. "We recognize that we have not always gotten everything right in the past and we are sincerely sorry for that," Chief Executive Officer Sundar Pichai said in a note https://www.blog.google/inside-google/company-announcements/note-our-employees addressed to employees. "It's clear we need to make some changes." Pichai's actions respond to a couple of the five major requests made by employees during last week's protests. They had called on Alphabet to add an employee to its board and share gender-related pay data, neither of which Pichai addressed. "They all have the same root cause, which is a concentration of power and a lack of accountability at the top,” organizer and Google employee Stephanie Parker said in a press release. "We demand a truly equitable culture," Parker said. Google noted its chief diversity officer would continue to lead monthly discussions with Pichai on topics of diversity and equity. The company also said it would publicly release its harassment, discrimination and retaliation policies. Employees who organized last week's demonstrations estimated that 20,000 workers participated across Alphabet offices in five continents. A New York Times report spurred the protests after it revealed that Google gave a $90 million exit package to a top executive in 2014 after he was accused of sexual harassment. Pichai said on Thursday that Google would provide more details about the outcome of sexual harassment investigations, as well as improve handling of cases by allowing victims to be accompanied by a support person. Employees now must do sexual harassment training annually, instead of every two years currently. In addition, the company will expect its leaders to create environments in which excessive alcohol consumption is "strongly" discouraged. 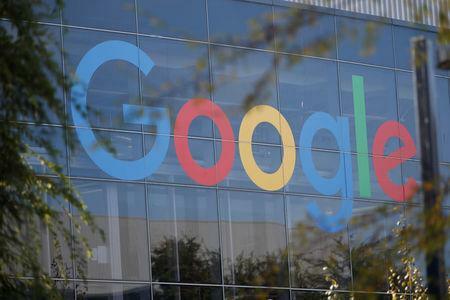 "Perpetrators" had been drinking in about 20 percent of the harassment cases at Google, it said. Google described two-drink limits or drink ticket systems as potential solutions. "We will impose more onerous actions if problems persist," Google said.